I hope you enjoyed the presentation! The slides are available below. 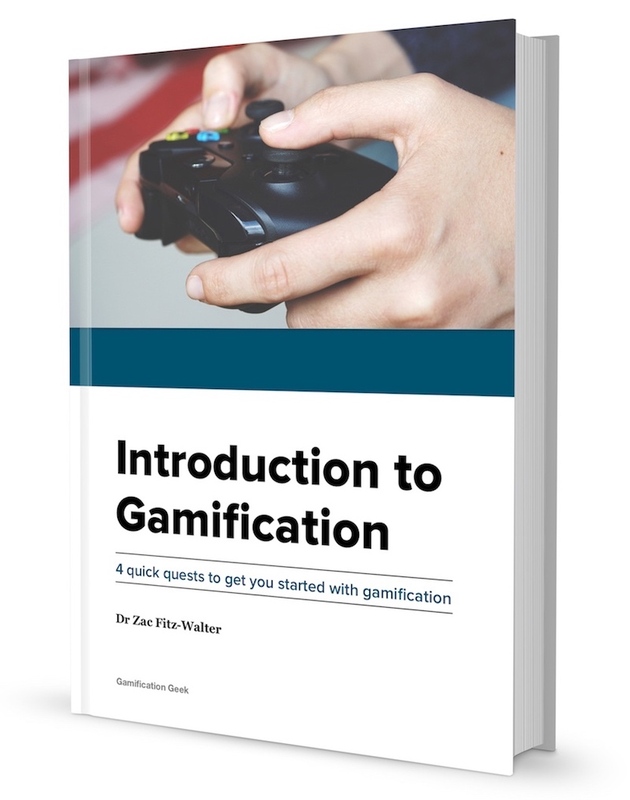 If you'd like to dig deeper into gamification design then a good place to start is by downloading the free book. We can be hired to run a gamification workshop, undertake an engagement UX review or help design a gamification solution. View our services guide for more information. Check out the Gamification Geek Facebook page for gamification-related news and updates. Otherwise if you have any questions at all don't hesitate to get in touch. I always like to hear about what you're working on. Not only has he got one of the best names in the business, Dr Jason Fox also has one of the best books to help guide leaders in the workplace. A must read. Ed Catmull created Pixar and provides some excellent insight and advice to his adventure from researcher to leader of one of the most creative companies ever.